Lucara Diamond Corp. ("Lucara" or the "Company") (TSX:LUC) (BOTSWANA:LUC) (NASDAQ OMX:LUC) is pleased to announce that the Company will hold its third Exceptional Stone Tender for 2014 in October. The sale features seven Type 2A diamonds of greater than 100 carats, including a 239 carat and a magnificent 204 carat diamond of exceptional color and quality. William Lamb, President and CEO, commented, "Karowe Mine production puts Lucara as an industry leader in the supply of large and exceptional stones. This sale, our third of 2014, highlights the continued success, and value, of this unique operation in northern Botswana." 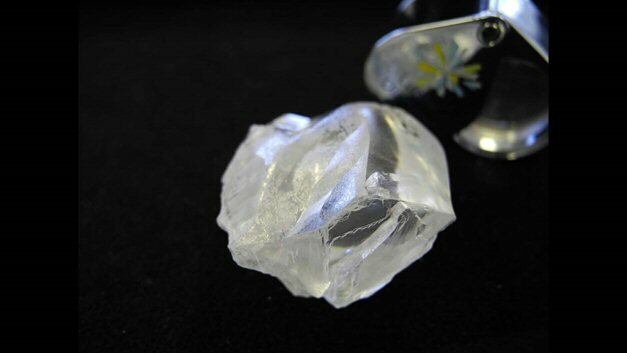 Lucara is a well-positioned diamond producer. The Company has an experienced board and management team with extensive diamond development and operations expertise. The Company's two key assets are the Karowe Mine in Botswana and the Mothae Project in Lesotho. The 100% owned Karowe Mine is in production. The 75% owned Mothae Project has completed its trial mining program. Certain of the statements made and contained herein in the MD&A and elsewhere constitute forward-looking statements as defined in applicable securities laws. Generally, these forward-looking statements can be identified by the use of forward-looking terminology such as "expects", "anticipates", believes", "intends", "estimates", "potential", "possible" and similar expressions, or statements that events, conditions or results "will", "may", "could" or "should" occur or achieved.